A NEW COLOR: THE ART OF BEING EDYTHE BOONE is a joy-filled, heart-rending story about community, art and lives that matter. Edythe may be 78 years old, but she is still tirelessly engaged in bringing art to the community. 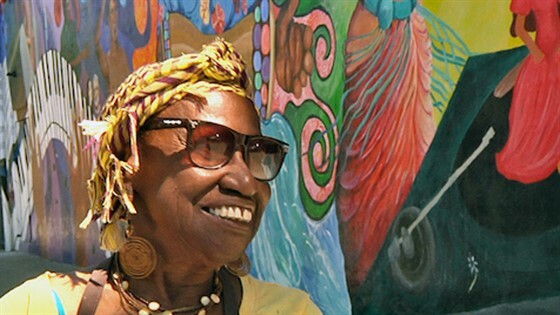 A Bay Area social justice muralist perhaps best known for her work on the San Francisco Women’s Building “MaestraPeace” mural, Edythe builds bridges rather than walls between culturally distinct groups. A NEW COLOR follows her work over a three-year period weaving in stories from her Harlem youth and engagement in many of the important civil rights issues of our time. As events unfold, Edythe’s nephew Eric Garner dies in police custody and his famous last words (“I Can’t Breathe”) throw her work into turmoil.